Wikipedia defines office politics as “the use of power within an organization for the pursuit of agendas and self-interest without regard to their effect on the organization’s efforts to achieve its goals… Both individuals and groups may engage in office politics which can be highly destructive, as people focus on personal gains at the expense of the organization.” It seems that as long as we live in a fallen world where we have human beings working side by side, office politics is unavoidable. One church pastor even half-jokingly shared with me that office politics happens even in the church. What then is a Christian to do? Is there a biblical perspective for believers who find themselves caught in the middle of out-and-out office warfare? Be aware of your environment. Don’t be naïve enough to think that you can trust everyone. Of course, be involved – just be smart about it. Do not gossip. Boy, is gossip a fun way to pass the time – but it can be deadly to your career. Before you even step foot into the office, make a point not to participate in office slander, no matter how innocent it seems. Remember: The person who gossips to you will also gossip about you. Resist the temptation to be jealous. You’re going to meet people at the office who will quickly move up the ladder or receive preferential treatment for seemingly no reason at all. 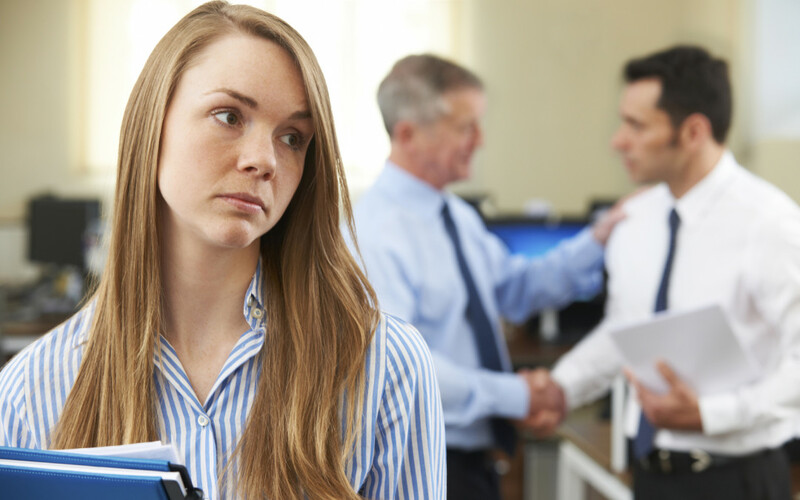 A sure-fire way to lose at office politics is to reveal your jealous spirit. Even if you are jealous, never let it show. At the very first sign, take jealous thoughts captive and replace them with happy ones! Give credit where credit is due. Never take credit for someone else’s work. If you’re the supervisor, let your employees have some credit. If you’re the low man in the office, make your supervisor look like the best boss in the world. Either way, you’ll be seen as an honest, humble individual. And honesty and humility are always good things. Take the high road. So your boss has just taken all the credit for your hard work. It stinks, doesn’t it? But don’t gripe and complain about it. A good attitude always wins in the end. Periodically ask your boss for advice. Your boss will more than likely see you as a protégé or ally. And if situations arise, she’s more apt to have your back down the road. Look for ways to be encouraging. Stay late and help your colleague finish her project. Send a handwritten thank-you note to those who stayed late to help you. Or bring homemade cookies to the office. In other words, give your colleagues reasons to love you. Be visible. It’s one thing to be humble; it’s another to be invisible. Don’t be afraid to volunteer to lead that important task. You may have to put in extra hours to get the work done, but your employer will take notice of you and your hard work. You can’t beat that kind of politicking. Pray. Do not underestimate the power of prayer in the workplace. God desires for his children to be good representations of him, so ask him for wisdom and guidance. Although there are many biblical principles that have guided me through my working life, two biblical verses which have resonated with me are found in 1 Peter 2:13, “Submit yourselves for the Lord’s sake to every authority instituted among men.” and in Matthew 10:16, “Therefore I am sending you like sheep among sheep among wolves. Therefore be as shrewd as snakes and as innocent as doves”. When placed side by side, both passages seem to be at polar opposites when we apply them to the cut and thrust of office politics. The first seems to tell us to do nothing but passively submit to authority while the other seems to advise us to be shrewd and wise. How it applies to your own work situation really depends on God’s leading – something which each of us may have to pray about before deciding on a course of action. My first real introduction to office politics was when I was into my third job as a regional sales engineer of a European company where my boss, the Managing Director, was sacked abruptly due to office politics at the highest level. The company was divided into two distinct factions – one supporting him and the other aligned with his adversary. My boss later revealed to me that the other party had been plotting his dismissal behind the scenes for some time before the dismissal. The tense atmosphere following this sacking and the bickering between both factions scarred the staff. Most of the staff were non-believers and followed their own conscience in deciding how to react. As a follower of Christ, I chose to pray and ask God for wisdom. God revealed to me that I had to leave the company and move on and that He would guide me to the next season of my life. I could have stayed behind as the company desperately needed its experienced staff but in the end I decided to follow God’s leading. Had I used human wisdom, I would have stayed on since that was the easiest thing to do. At the end of the day, I believe that whether you feel it or not, God is working wherever you are and can use whatever situation you’re facing to work together for a good outcome for you as long as you walk with Him and in obedience to His will.